This section of our business offers a wide variety of products and additives for the printed circuit industry and electronic manufacturing services. 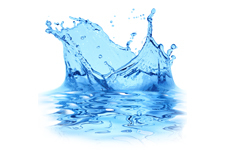 Our waste-watertreatment products help to precipitate metals out of water-based solutions, the breaking down of emulsions and the sedimentation of the CSB. The program of additives for formulae relevant to cleansing, galvanizing and surface technologies will help you to get best results in meeting the challenges of creating optimum surfaces for materials. In this sector the C.H.Erbslöh works with well-known regional and global producers from the Chemical Industry. Our customers for waste water treatment products are additionally supported by the services of our application technology lab. Qualified sales advisors are ready to help in all these special areas. They have years of practical experience in each of your particular fields.